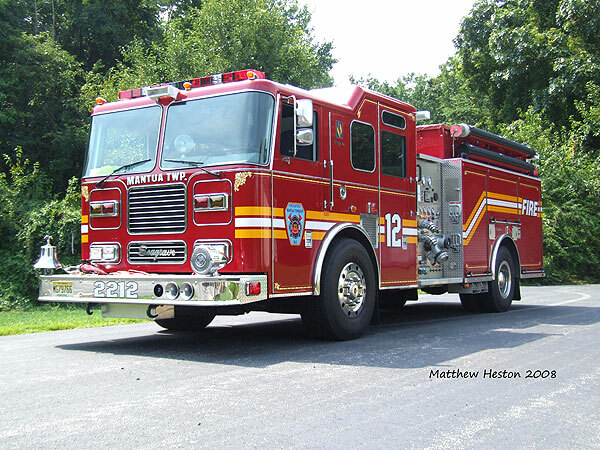 Engine Company 2212 is a 2006 Seagrave 1500 GPM (Waterous) 1000 Gallon Custom Pumper. Engine Company 2212 is equipped with 1000 feet of 5 " supply, 300 feet of 2 1/2" dead lay with a gated wye, 200 foot 2 1/2" attack line with a smooth bore nozzle, 200 foot 1 3/4" hand line with a smooth bore nozzle, 300 foot 1 3/4" hand line with a smooth bore nozzle and a 100 foot 1 3/4" trash line with a combination nozzle. Engine Company 2212 is a 6 man cab equipped with Scott SCBA, a Thermal Imaging Camera, Multi Gas Meter and natural gas detection device. Engine Company 2212 is also equipped with flammable liquid extinguishing equipment as well as numerous extinguishers.